Sleep is actually a necessity but is becoming more of a luxury these days as numerous things compete for your time and attention. Juggling your multiple responsibilities in and out of the house can be overwhelming at times that you often stretch your day far out into the night to ensure everything’s all taken cared of before your head hits the sack. It’s a sad reality really that you unconsciously give up and sacrifice m any of the things that are important in life for the fleeting interests and obligations you busy yourself with in your pursuit of success and happiness. However, you can also end up tossing and turning at night because of annoying but potentially life-threatening conditions like sleep apnea. There are different types of sleep apnea but the most common type is the obstructive one, a dangerous type of sleep disorder where your breathing constantly stops and start during your slumber. It happens because the muscles in your throat relax now and then that in turn blocks your airway while you are asleep. Last week, actress Carrie Fisher’s autopsy report contained a surprising detail: The Los Angeles medical examiner listed sleep apnea as a factor in the “Star Wars” actress’ death. Fisher also had cocaine, methadone, ethanol and opiates in her system. Sleep apnea is when a person stops breathing while sleeping, for 10 seconds to a minute or longer. This can happen repeatedly during the night, causing blood-oxygen levels to dip and putting a strain on the heart. Obstructive sleep apnea, the most common type, is caused by the upper throat muscles relaxing, which makes the airway narrow and close. Another type is central sleep apnea, where the brain doesn’t send the right signals to the muscles that control breathing. Complex sleep apnea, the third type, is when a person has both obstructive and central sleep apnea. It shouldn’t really come out as a surprise that people can die from sleep apnea to think that 18 million Americans are now diagnosed with obstructive sleep apnea in the US alone albeit of different degrees of severity. Many are getting help. So, don’t take snoring issues lightly because it is your body’s way of telling you something is wrong and you need to act on it right away while you still can. 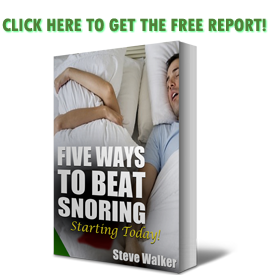 While snoring is the most prominent symptom of sleep apnea, not all snorers are actually diagnosed with the disease. Sleep apnea’s progression can be gradual or not depending on the type of lifestyle you live, so try to get yourself checked as soon as you can if you don’t want to end up with more debilitating conditions that are worsened by sleep apnea and the accompanying lack of sleep you often suffer from. And be considerate of your partner or spouse as well. Even though it’s you taking all the risks, they also end up losing sleep having to put up with your loud snoring. Traditional treatment often includes the use of a CPAP machine that most patients realize is far uncomfortable to use. Even if it’s the best treatment there is for this condition, it defeats its purpose if patients aren’t willing to use it. 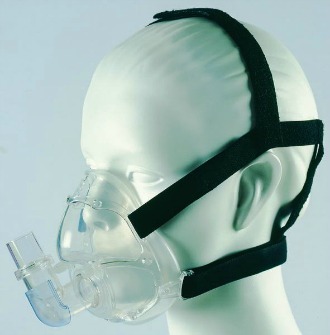 Find out for yourself if you think CPAP may or may not be a good fit for you: https://snoringmouthpiecereview.org/why-a-cpap-machine-is-probably-not-for-you. But don’t lose hope yet if you aren’t comfortable in using a CPAP machine yourself because there are handy anti-snoring mouthpieces and mouthguards you can use like this one: https://snoringmouthpiecereview.org/good-morning-snore-solutionx that works better CPAP minus all the hassle. The important thing is to get yourself checked as soon as possible if you value your health and ultimately your life.